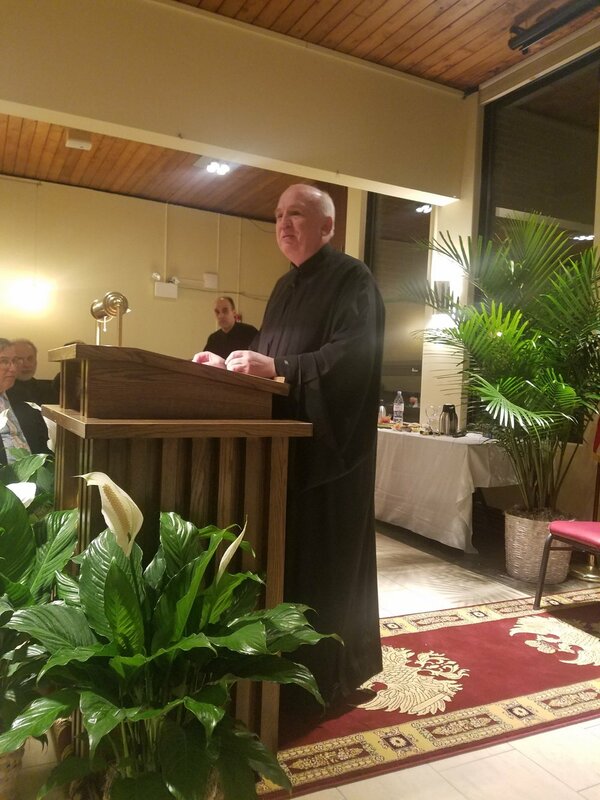 WESTCHESTER, IL: Holy Apostles Greek Orthodox Church in Westchester host again this year the Metropolis of Chicago Celebration Of Books, titled “Navigating God’s Holy Word”. The event features three days of presentations on sections of the bible, this year featuring Rev. Dr. Eugene Pentiue on March 12, Dr Alex Torrance on March 14, and Dr Bruce Becky on March 16. Over 150 parishioners joined His Eminence Metropolitan Iakovos and His Grace Bishop Demetrios at the first session to listen to Rev. Dr. Eugene Pentiue, Professor of Old Testament at Holy Cross Greek Orthodox School of Theology, present “Understanding the Old Testament”.